It's been raining off and on the last few days, a nice respite from all the yard work. The focus now is on the inside of the house. There's been some movement of furniture and quite a bit of elbow grease. All in all, it's beginning to feel like home again. I made this appetizer for the first time to bring to a friend's house for dinner. The ingredient list had me reconsidering if I was on the right track or not. And as I searched the internet again hours before the party I became a little worried. The preparation started with the cream cheese and sour cream being combined together. I quickly realized that the cream cheese should of been removed an hour or so beforehand to soften. I then brought out the hand mixer to remedy this situation and after creaming the cheese's; added the green onions and spices. The crab was carefully added last. I used 6 ounces of crab from the fish store in town that had big chunks of lovely crustacean and one 6-ounce can that was flaky in texture, so really half n half. The dip was topped with a sprinkling of Old bay seasoning and baked for 35 minutes. I served the dip with sliced bread, but some whole wheat crackers or celery sticks would be great too. In the end the dip turned out as planned and was well received. Next time I will bring a dish that has been prepared once or twice beforehand to avoid a slight case of the jitters. Recipe has been loosely adapted from Taste of Home.Com. In a small bowl, using a hand mixer beat cream cheese until whipped. Add sour cream and mix well. Add and combine cheddar cheese, green onions, mustard and garlic powder. Add crab and mix lightly, top with Old Bay seasoning. Place in oven and bake 30 to 40 minutes, until bubbling at the edges and heated through. Serve with sliced bread, crackers or celery sticks. Hi Tandy, it was a great appetizer! Tasty! This dip sounds amazing. This sounds wonderful, Cheri. We love anything made with Dungeness Crab. Hi Cathy, crab is one of my favorites as well. Thanks! I love warm cheesy dips and this one looks wonderful Cheri! Love that you used some fresh cooked crab too - yum! Thanks Kelly, crab is one of my favorites. Cheese and crab...a great pairing for the dip. Hi Angie, thanks this was great. I love the pairing of cheese and crab..the dip must be very delicious. I bet this dip was awesome with crusty bread! Don't worry about the jitters...I almost always bring a dish that I've never made before! Hi Leah, you must have nerves of steal, good for you. I know this would be a big hit at a party! Hi Pamela, thanks for stopping by. Great dip and great on those bread slices! Cheri, this dip does look very tasty indeed! The ingredients are wonderful and it certainly never hurts to have another great dip recipe - can never have enough of those! Hope the weather will be nicer soon! 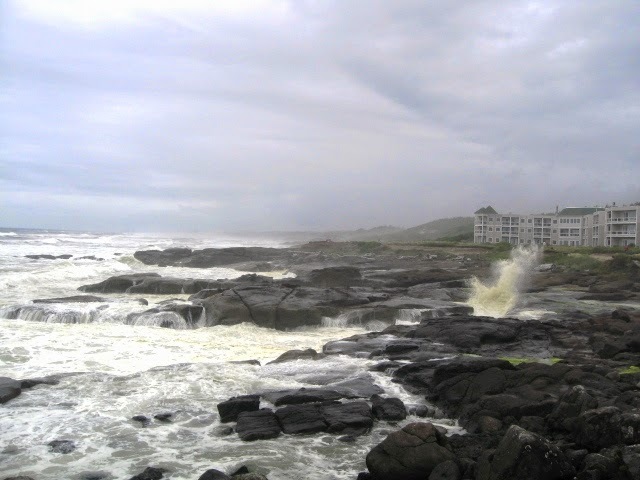 - Love the picture of the stormy coastline! I think this dip looks great! I almost always try new things to take somewhere and start worrying that it won't turn out well - but usually it does! This dip looks lovely. I'm sure the crab and cheese combination was a big hit, photos look so appetizing! Philadelphia Cream Cheese is pretty versatile I think but the mixer was a good thought to be sure. Thanks for sharing! Hi Peggy, sometimes I think fast on my feet in a pinch other times not so much. Thanks for stopping by. Thank you! appreciate the comment. Oh, Cheri, that has happened to me many times! The latest time was when I made a sort of 'layer cake' that ended up really flat! Fortunately it tasted perfect but I was really nervous that it would be awful. You obviously didn't need to worry about this dip though because it has all those beautiful tasty ingredients in it. I adore crab and I bet the cheeses and mustard complement it beautifully. This is one I'd like to give a go! Hi Helen, yes, I lucked out on this one. Thanks for stopping by. I love good cheesy dips and summer picnics are a great way to enjoy these! Looks so tempting! Thanks Ami, I do too! This is the kind of appetizer I love! And I've totally been in the same situation with not taking something out of the refrigerator to soften. But the flavors are so wonderful here, I'm sure everyone loved it! Hi Susan, yes, it did turn out well, phew! Wow - you bake it! 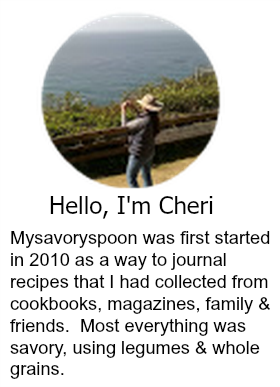 I bet this dish is fantastic, Cheri. I'm going to make it for our next family get together. Love the flavours. I can't tell you how many times I forgot to soften the cream cheese, lol. 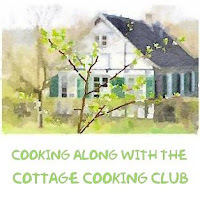 Great recipe - and who doesn't love crab! Hi Robyn, I know I was really starting to panic, thank goodness all was okay. Crab meat is my favourite. Hi Mandy, mine too. Thanks for stopping by. Hi David, thanks. Almost Happy week-end to you too! I can't wait. Is it weird that I don't like crab but I love crab dip (and crab cakes)? Looks great Cheri, double thumbs up! HI Mike, I a little finny about just crab too! Understand! Lovely dip and crab make it very sophisticated. I've been looking for an appetizer to take to a 4th of July picnic and I think I've found it. Thanks! Hi Sam, thanks, hope you like it! I love crab dip, but have never thought to add cheese, will definitely be trying this!! Oh I lived off this stuff growing up in Maryland... there's something about the creaminess paired with crabiness.. so good. This sounds rich and delicious! I had something like it recently at a restaurant and I can't get it off my mind. I'm glad it turned out to be a hit!